This entry was posted in Musings and tagged 1877, afl, AFL Victoria, Chris Grant, Collingwood, footscray, Footy, footy jumpers, Geelong Football Club, logo, Mebourne, Melbourne, North Melbourne, Port Melbourne Football Club, premierships, Shaun Smith, VFA, VFL, VSFL, Werribee Tigers by theholyboot. Bookmark the permalink. Thanks for clearing all that up, John! 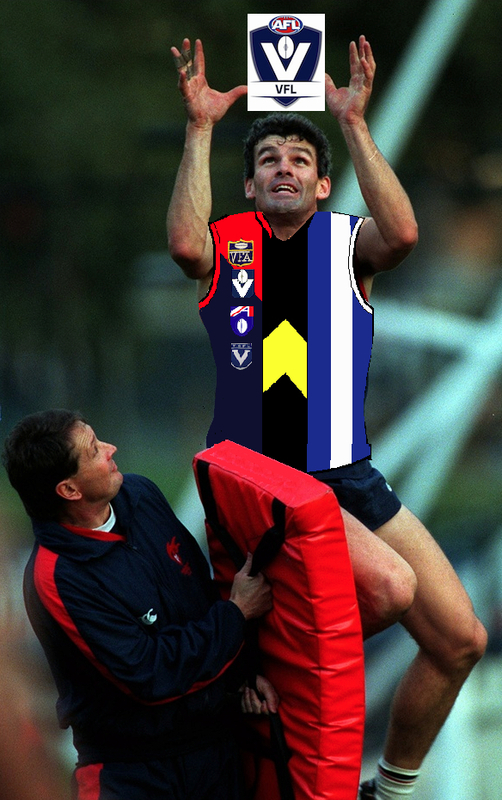 I’m guesing the VFA probably had little say in the name change to the VFL in 1996. It may well have been the last chance for VFA clubs to keep playing in a second-tier comp. Probably lots, and lots, of footy politics going on. 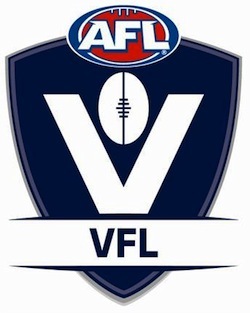 If only someone had had an ounce of common sense and imagination and re-named the VFA – if indeed it had to be re-named at all – something like the VAF – Victorian Association of Football. 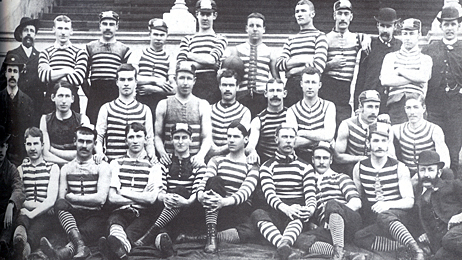 Or the VFC – Victorian Football Competition. To further confuse matters, Gold Coast Suns actually had a season in the VFL, before playing in the AFL. Footy is a simple game. Well, it was. It needed some hard-arsed cigar chewing Alec Gillon type to outfox Jolimont (As I’ll call them for sanity’s sake) like he did year after year in the old days. Kept coming up with brilliant new ideas to stay a jump ahead and then Jolimont would pinch them. 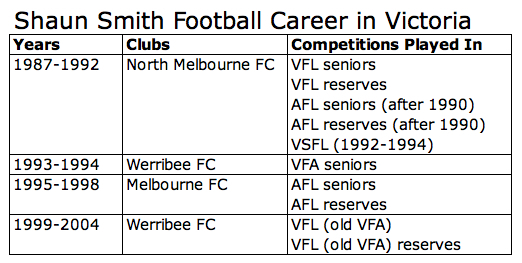 My VFA is the 2-div era, when I would look at the scores and learn about suburbs I’d never heard of like Mordialloc, Box Hill, Oakeigh and Northcote. I still have seen no other proof that Mordialloc exists.